These are some of the comments that the Wilmette Institute received after Louise Profeit-LeBlanc’s Web Talk “Seven Caribou Spirit Bowls: Seven Valleys towards Reconciliation” in September. The talk was, indeed, a departure from most of the Web Talks in that it centered around an artistic creation prompted by the Canadian Government’s release in 2015 of the final report of its Truth and Reconciliation Commission. The artistic creation is also Louise’s offering to Bahá’u’lláh on the bicentenary of his birth. What is the relationship of Louise’s artistic piece to Canada’s truth-and-reconciliation report? Louise says she has come to understand that “art is a tool. It’s a tool in which we can utilize traditional forms and different methods of offering spiritual sustenance to humanity.” She has also come to understand the importance of seven, not only to the region in which she is living because they have the “seven grandfather teachings” but also seven seas, seven directions, seven days. Hence it is no wonder, she says, that Bahá’u’lláh chose seven to discuss the “journey, the process, that we all go through every moment of our existence to come to an understanding of who we are in the world and how we have to move through these different valleys or these different conditions of self.” Thus, in considering what to prepare for an exhibition that must include the concept of reconciliation, she decided she had the best “proposition” that came from the “Manifestation of God for this day”: Bahá’u’lláh’s Seven Valleys, which provided a name for each of the seven caribou bowls. And the relationship to the bicentenary of Bahá’u’lláh’s birth? That momentous occasion that occurred in October 2017 was why she gave the Web Talk. The Web Talk is moving and informative on a number of levels: The beauty of the artwork touches our hearts and souls. The truth-and-reconciliation report informs about the systemic racism toward indigenous peoples in the “shameful” residential school program. The submission of the National Spiritual Assembly of the Bahá’ís of Canada highlights the Bahá’í commitment to “healing the divisions between the world’s peoples.” The many passages from the writings of Bahá’u’lláh and ‘Abdu’l-Bahá provide the spiritual foundations for healing and unity. The quotations from Shoghi Effendi increase the depth of our understanding. The humility of the presenter offers a role model as she takes us on a journey in search of reconciliation. In the end, more than one listener has been moved to revisit Bahá’u’lláh’s Seven Valleys. You can listen to Louise Profeit-LeBlanc’s Web Talk “Seven Caribou Spirit Bowls: Seven Valleys towards Reconciliation” and also print out her PowerPoint slides by clicking on the link. Louise is an internationally renowned traditional storyteller from the Nacho Nyak Dun First Nation of Mayo, in northeastern Yukon. Before moving to Ottawa, where she served as the Aboriginal Arts Coordinator for the Canada Council for the Art for over eleven years, she was employed by the Heritage Branch of the Yukon Government. During that period in her life, she was introduced to the expansive, rich art practices of traditional stories of Yukon First Nations people, which she fondly refers to as Yukon “orature.” This ultimately inspired her to found the Yukon International Storytelling Festival and to become involved with the Society of Yukon Artists of Native Ancestry, both of which were germane to the evolution of public presentations for many Yukon First Nation cultural practices. 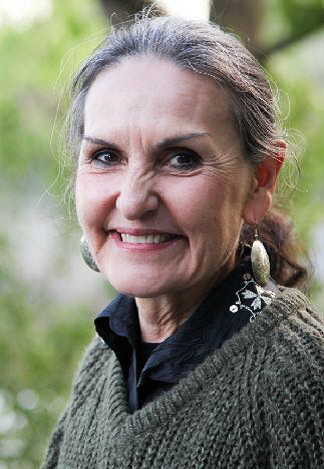 In addition to her full-time employment at the Canada Council, Louise continued to respond to requests from Aboriginal communities, gatherings, festivals, and inner-city school programs to share traditional stories, teach the art of storytelling, and provide many examples for teachers to use in their classes. After many years as a storyteller Louise realized that stories have the power to teach, to educate, and, most of all, to heal, to bring listeners to a higher level of spiritual awareness, resulting in an increase in listeners’ understanding and awareness as human beings and how we should aspire to treat one another on this precious planet that we all share. She believes that each person on earth has their own story and that, if each one of us has the opportunity to share and hear each other’s story, the world would become a much more peaceful place in which to live. In the words of one of her Elders and mentor, Angela Sidney, “We should ‘live our lives like a story!’” Louise believes that reconciliation will not be possible in Canada (or anywhere) without everyone’s stories being heard, for stories are the bridge to understanding and forgiveness. By building friendships through story, we can become more aware of how to eradicate many of the injustices that have caused separations in the first place. Searching for our own truth will get us there. Louise has been invited as a guest storyteller at many international venues, including ones in Alaska, Australia, Belize, Chile, Costa Rica, Germany, Greenland, Hawaii, New Zealand, Norway, Wales, and in many communities across Canada and in the United States. Now retired, Louise is working full time as a storyteller, textile artist, and Indigenous arts consultant.